﻿ Poster advertising a talk by George McGovern discussing 'Regan and the liberal alternative' at the University of Florida. Poster advertising a talk by George McGovern discussing 'Regan and the liberal alternative' at the University of Florida. 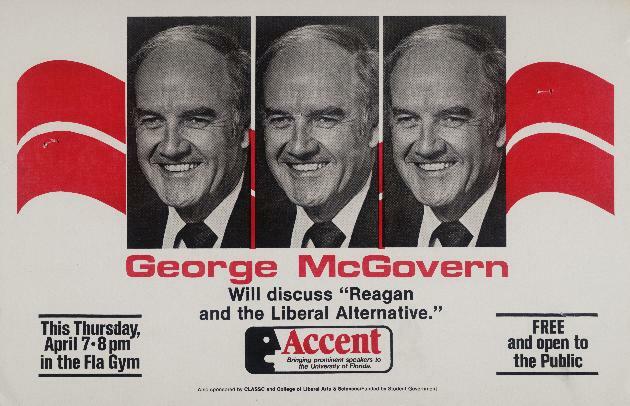 Poster advertising a talk by George McGovern discussing 'Regan and the liberal alternative' at the University of Florida Gymnasium. Sponsored by Student Government-Accent.